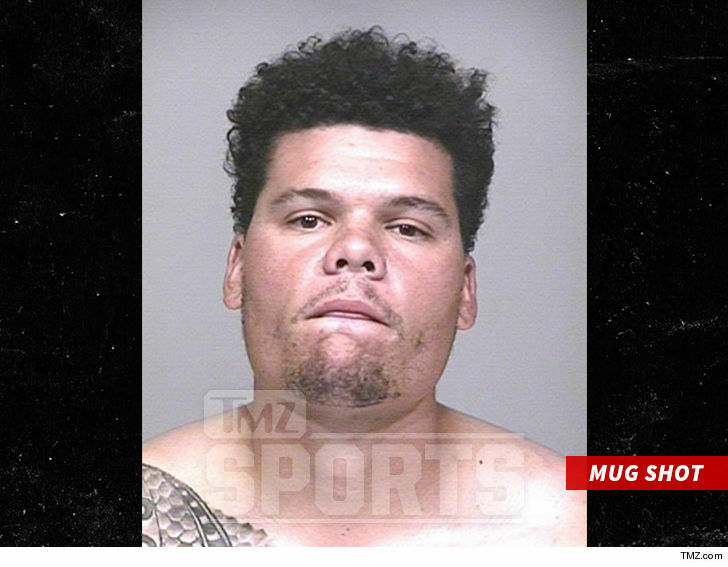 Oakland A's catcher Bruce Maxwell was arrested for aggravated assault with a deadly weapon after cops say he pulled a gun on a woman ... TMZ Sports has learned. Scottsdale PD tells us Maxwell, 26, was arrested Saturday at 6:08 PM at his Scottsdale, AZ home. Cops say the alleged victim was a female food delivery driver who told them Maxwell pointed a gun at her. It's unclear what led up to the incident. SPD says Maxwell was booked on charges of aggravated assault with a deadly weapon and disorderly conduct. Cops say he is in custody and awaiting his initial appearance in front of a judge. Earlier this week, Maxwell -- the only MLB player to kneel for the anthem -- told us he was recently denied service at an Alabama restaurant by a waiter who disagreed with the protest.